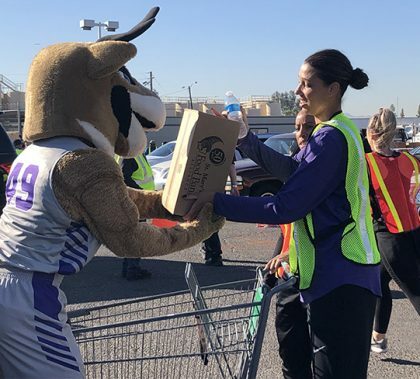 Photos by Theresa Smith and Lana Sweeten-Shults GCU News Bureau Hungry and stressed students sipped hot chocolate and munched on granola bars along the Promenade on Wednesday. 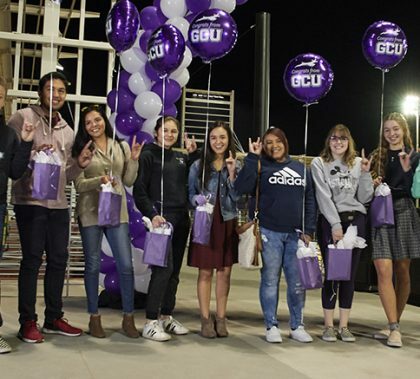 They were eager to take advantage of Fuel for Finals, courtesy of the Grand Canyon University Welcome Programs and parents from the GCU Parent Council. “I was very satisfied with my granola bar,” said Joshua Onwordi. “And I took one when I went to class as well, so I have eaten two granola bars today. I am fueled for finals.” The sophomore from Chandler took his first final on Tuesday and a second one on Wednesday. 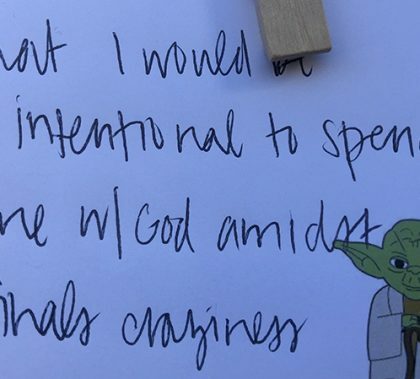 Along with providing snacks, drinks and encouragement, the semiannual event featured a prayer request board, prompting students to publicize their prayers, including asking God for successful final exam experiences. 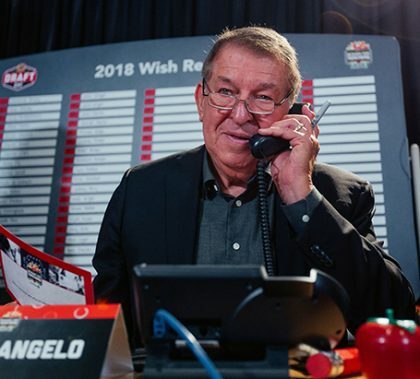 The two-day event ended on Thursday at 2 p.m. 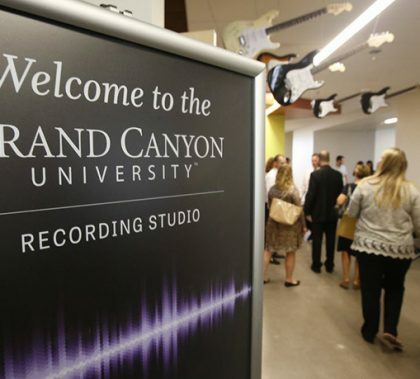 The growth of the Center for Worship Arts program at GCU is being felt in churches in Arizona and beyond. 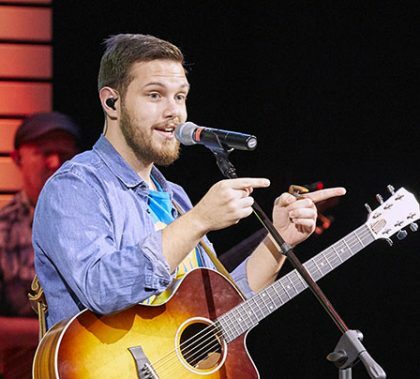 Aaron Bolton and Mallory Denson are just two of the students who have graduated and gone on to worship ministry careers at local churches. 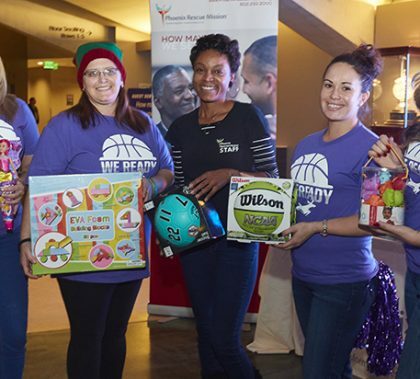 “We’re thrilled,” said Dr. Jason Hiles, Dean of the College of Theology. 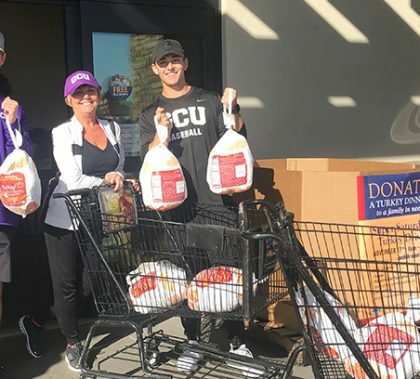 Photos by Theresa Smith and Debbie Accomazzo GCU News Bureau Members of the GCU community helped hand out Thanksgiving meals Monday at the St. Mary’s Food Bank Alliance Turkey Distribution event.